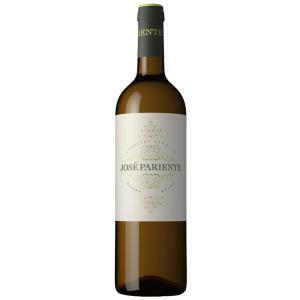 Bodegas José Pariente is the maker of this 2016 José Pariente Verdejo , a white wine from the region of Rueda with a blend based on verdejo of 2016 and shows an alcoholic content of 13%. The 2016 José Pariente Verdejo is the ideal white to combine with serrano ham and soft cheese. 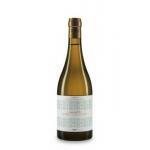 Uvinum users rate this white wine with 4,4 out of 5 points and also has the following ratings: robert parker: 92 and peñín: 91. The latest vintage from one of the most famous of Rueda's verdejos, the José Pariente Verdejo 2016 is a new arrival at Uvinum, allowing you to enjoy - for another year - this fantastic varietal with its amazing powers of seduction, thanks to its fragrant and elegant character. 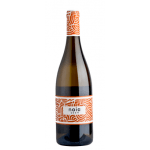 Made using grapes from small 'boutique' vineyards no less than 30 years old, José Pariente Verdejo is a wine that consistently guarantees quality, confirming the well-deserved fame of these fine verdejos. Enjoy with fish dishes, seafood or rice, the perfect combinations! 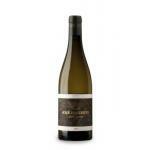 - Nose: intense, elegant, complex, fruity, with aromas of peach, pear, citrus, fennel, underbrush and balsam. 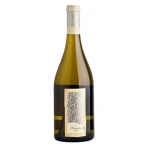 - Mouth: presence of fresh fruit, unctuous, sweet, elegant, with the smoothness and characteristic bitterness of the Verdejo grape. Persistent and complex and intense aftertaste. PREPARATION: cold maceration between 8 and 12 hours. After pneumatic pressing, alcoholic at low temperature in stainless steel tanks fermentation. The wine remains on its lees until bottling. 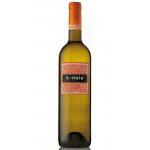 If you want to buy 2016 José Pariente Verdejo, at Uvinum you will find the best prices for Rueda white wine. Buy it at Uvinum at the best price, comfortable, quick and safe. We offer a catalog of more than 59.000 products for sale and we are the leaders in sales of wine, beer, and spirits in Europe with over 38.000 clients trusting us.